This is a fantastic guide to buying ethical eggs this Easter! We are very pleased to see Divine Chocolate UK Traidcraft (Meaningful Chocolate Company) and Cocoa Loco scoring very highly. Hyfryd i weld Leah Mitula @denurcrafts yn y siop heddiw. 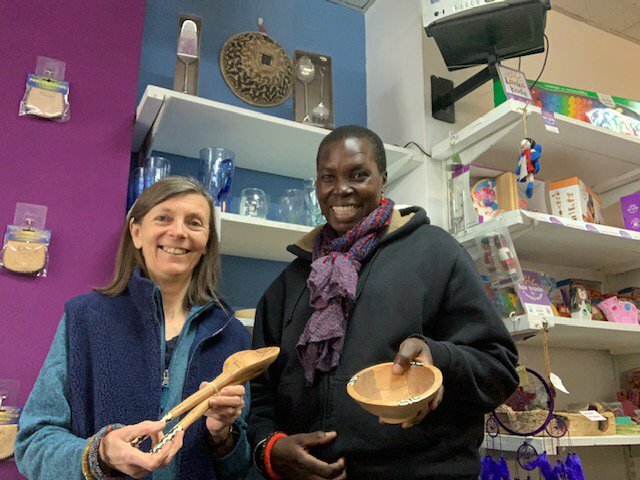 Lovely to have Leah with us this week, bringing lots of nice crafts and jewellery from Kenya. 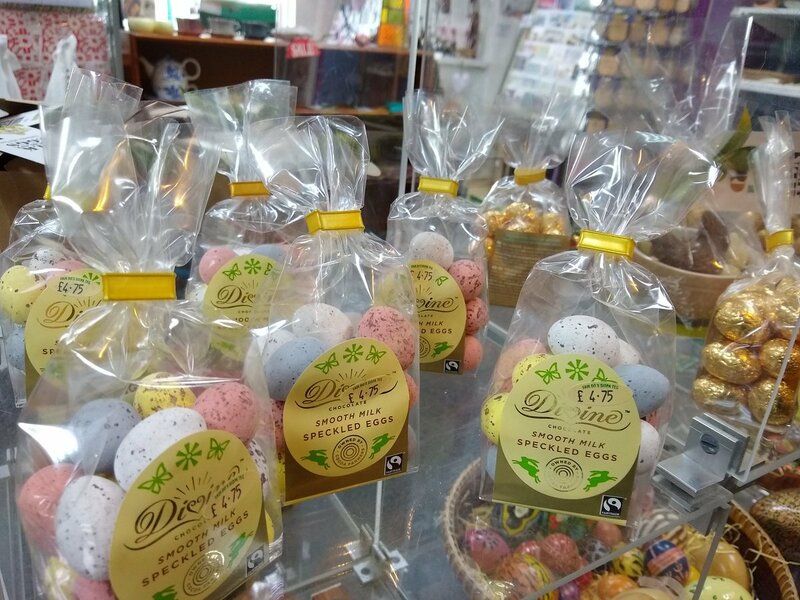 We nearly sold out of Easter eggs, but new deliveries have arrived! So do come and pick up your last minute Easter gifts.